To reduce costs and get business-critical data to the workforce more quickly, organizations are finding it expedient to reduce their dependency on the training function and give Subject Matter Experts (SMEs) the responsibility for educating workers. 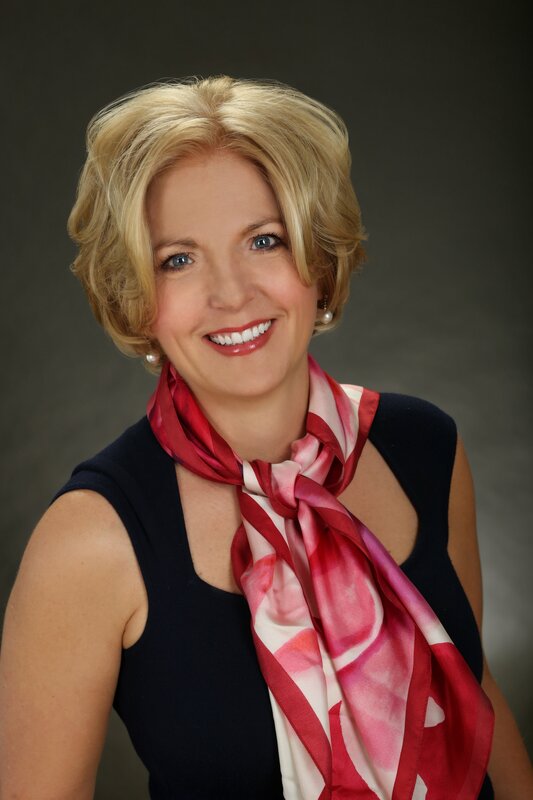 SMEs have always been essential to the design of successful training programs. Traditionally, instructional designers (IDs) would meet with these experts throughout the course development cycle. Armed with data from the SMEs, the IDs would create instructional objectives, assessment strategies, and an instructional sequence of exercises to meet the objectives. Often, the completed training programs were handed over to professional trainers and facilitators for delivery. In this model, the role of the SME was largely to provide and validate the training content. With the ever-increasing pace of change, training development cycles to support new corporate systems and initiatives are shrinking. Training departments are being presented with additional challenges because the new information generated by these business changes - which must be communicated to end-users - often resides with a critical few (or even one!) SME(s). To reduce costs and get business-critical data to the workforce more quickly, organizations are finding it expedient to reduce their dependency on the training function (in other words, cut out the middle man) and give SMEs the responsibility for educating workers. This and a variety of other factors - including the sheer amount of knowledge that needs to be transferred, short development cycles, small audience sizes, and minimal program shelf life - often change the traditional training model to a seminar lecture format with an "Ask the Expert" component. Although this approach is practical and often successful, using SMEs as primary training resources can cause problems for an organization. Taking experts out of the field has a cost: Time spent in a classroom and traveling back and forth keeps these people from focusing on their everyday tasks, creating time constraints on already strained resources. Virtual technologies can reduce this cost by allowing SMEs to facilitate presentations from their desktops. This approach can be effective because it reduces travel time and keeps the experts in their work environments, where they can be accessed easily before and after sessions. Just-in-time training can be scheduled and delivered easily. Many virtual platforms also allow for the archiving of live events, making experts available on-demand. Using SMEs as trainers can be an attractive audience draw. For instance, last year I evaluated a client's virtual program that ran for four consecutive days, six hours per day. Every day there were three or four different in-house experts, usually (but not always) supported by a moderator. Eighteen learners from around the United States logged into the virtual classroom. The technical content was delivered primarily in a lecture format, and the presentation included text-heavy slides - some difficult to read. None of the presenters had participated in a virtual session before and they had been practicing with the virtual software for less than a week. Built-in tools like chat, whiteboards, and polling went largely unused. It seemed like a disaster in the making. But the program was a surprising success. The reason? Access to the experts. In a summative evaluation I conducted two weeks after the session, verbal interviews revealed that participants usually had no access to people at the top level of expertise. Whenever the learners attended classroom training, they traveled across the country to learn from people with only mid-level expertise. Often, participants felt that they needed more depth. In this program, the presence of real experts proved a powerful draw throughout the learning experience. Everyone seemed to benefit. Participants indicated that they greatly valued the opportunity to learn from SMEs and would have stayed online even longer to take advantage of their knowledge. The various experts did not need to travel and dedicated a minimal amount of time to a very effective result. Finally, the organization delivered business-critical information at a greatly reduced cost. Clearly, combining content experts and virtual technologies can be advantageous to an organization and attractive to participants. But be careful. Before you throw your experts into the online fray, they will need to be prepared. Here are some tips for successful expert-led virtual events. Train your experts. Because they don't need to travel and the sessions tend to be under two hours in length, experts are being called upon to facilitate more training interactions than ever. Unfortunately, the experts often don't have the opportunity to learn the software, apply virtual design techniques, or practice effective delivery. SMEs should be trained in how to use the software and should also have several opportunities to practice before going live. As a rule of thumb, it takes four to six deliveries before a virtual facilitator achieves a true comfort level. It's also critical that would-be virtual facilitators be participants first. Before leading a virtual session, they should attend as many of them as they can in order to truly understand the participant experience. Manage content. Since virtual events tend to be shorter in duration than classroom sessions (one to two hours on average), presentations should contain only critical information. Content must be assembled in such a way as to be clear, concise, and engaging. For lecture-oriented events, plan on 45 minutes of business-critical content and 15 minutes of Q&A. (You can include up to 90 minutes of lecture-oriented content in one session - after that, consider scheduling more programs.) If your SME-delivered programs are designed to minimize lecture and maximize collaboration and interaction, 120-minute programs can be successful - but be sure to include a 10 minute break for the benefit of the participants and the facilitator. Additional content can be made available in the form of online tools, job aids, and other participant materials. SMEs may not have the design expertise necessary to prepare these items, so using a professional instructional designer who is familiar with the virtual platform can greatly improve the success of the overall program. Manage technology. One of the most common mistakes organizations make when using experts as online trainers is that they don't take the time to prepare these individuals for the technology. It's critical that time be made for the new online trainer to master the teaching aspects of the virtual platform. Other technical components, such as setting up student machines, enrolling participants, and trouble-shooting computer and audio issues, should be managed by someone else both before and during the live event. Use a producer. Using a producer or assistant trainer can help make virtual programs trouble-free, fast moving, and interactive, enabling the trainer to focus on content while the producer takes care of everything else. During expert-led events, the producer can move into a professional meeting manager role, facilitating interactions between the expert and participants, managing technology, and making use of the virtual tools. There's a bonus hidden here: A carefully choreographed dialogue between the producer and the expert, with appropriate participant engagement built in, can create a much more appealing program made up of different voices. If an organization uses this model, the same producer can support a large number of experts and reduce the time that experts spend learning how to use the classroom. The producer can be anyone who has mastered the technology and can support your program, for instance a trainer, an instructional designer, or a training assistant. Whoever it is, make sure you plan adequate rehearsal time so roles are clear. One could argue that using a producer increases the costs of human and capital resources. After all, e-learning is often perceived as a cost-saving initiative, and using an additional person to facilitate a session adds to the cost of the delivery. To counter this argument, remind decision-makers that the quality of your programs will be much higher with a second set of hands, and remember that you don't necessarily need to use your most expensive resources to produce. A well-trained assistant can do an excellent job - and use the experience to help move forward in his or her career. If using a producer is definitely not an option in your organization, it becomes even more critical that your SMEs are trained and comfortable with the software and the learning environment. New presenters may want to limit the amount of interactions and Q&A until they feel confident facilitating the virtual classroom. You should plan on technical support being accessible during the live sessions so that SMEs don't need to be responsible for troubleshooting in addition to content presentation. Co-present. If you have multiple presenters on a single topic, take the opportunity to co-present content. There are several advantages to this arrangement. First, it will give additional SMEs experience with the technology. As conversation moves back and forth between the presenters, learners who have lost attention may refocus because they hear a different voice. (Changing voices is always a great re-engagement technique in a virtual classroom, especially in a lecture-oriented program.) Also, if both SMEs are comfortable with the technology, they can produce for each other, eliminating the need for an additional person. In order to appear prepared and polished, SMEs that are co-presenting should have one or more rehearsals to ensure that the program is appropriately choreographed and roles are clearly delineated. Subject matter experts are a valuable resource to organizations, and they can fulfill an important training role. Virtual technologies can facilitate this - but be careful about the implementation. Don't sacrifice quality and engagement for convenience and cost-savings. 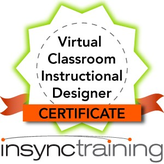 Interested in learning more about virtual classroom instructional design and earning your Virtual Classroom Instructional Designer Badge? Check out our Virtual Classroom Instructional Designer Certificate course by clicking on the graphic below.